H&M tank, really love this & this! May need them! Although the fourth of July is sadly over (I had the best weekend and hope you did too), I'm still in the mood to wear blue and white! I don't own much red, so I decided on a cherry lip stain all weekend, almost like I had a popsicle permanently hanging out of my mouth! In looking through my closet the other day, I came to realize just how much blue and white I own! I mean honestly half of my wardrobe consists of these nautical colors. Maybe in my subconscious, I pick out oceanic hues because they make me feel like I'm by the coast. Or at the very least, by a pool! Blue has always been my favorite color, and I don't think that'll ever change. What are your favorite Summer colors? Linking up with Tara today. 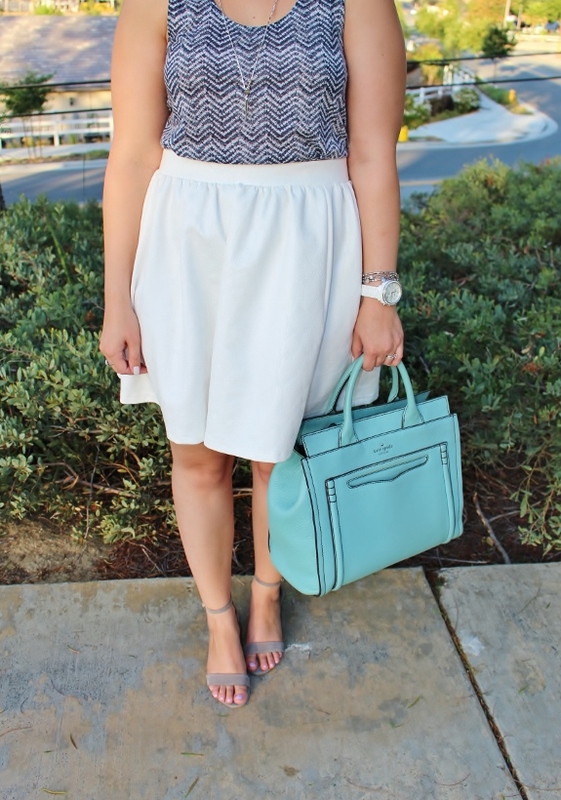 Also, don't forget to enter the Nordstrom giveaway! $649 dollars just in time for the anniversary sale! 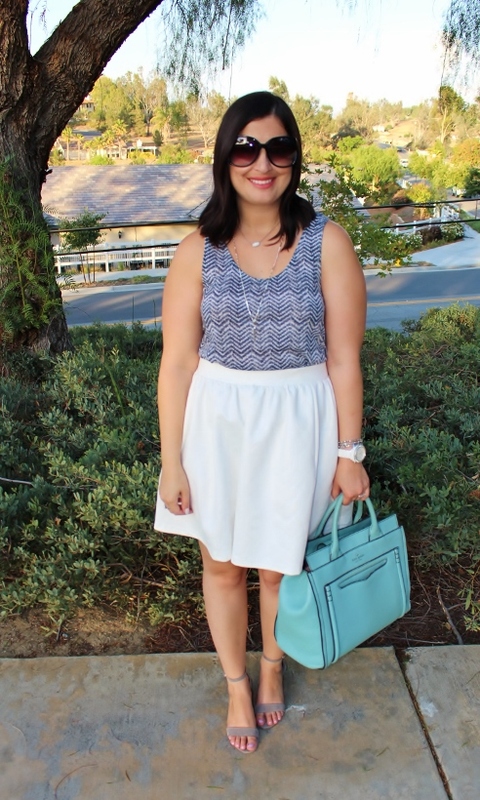 Such a cute look and I love these sandals. 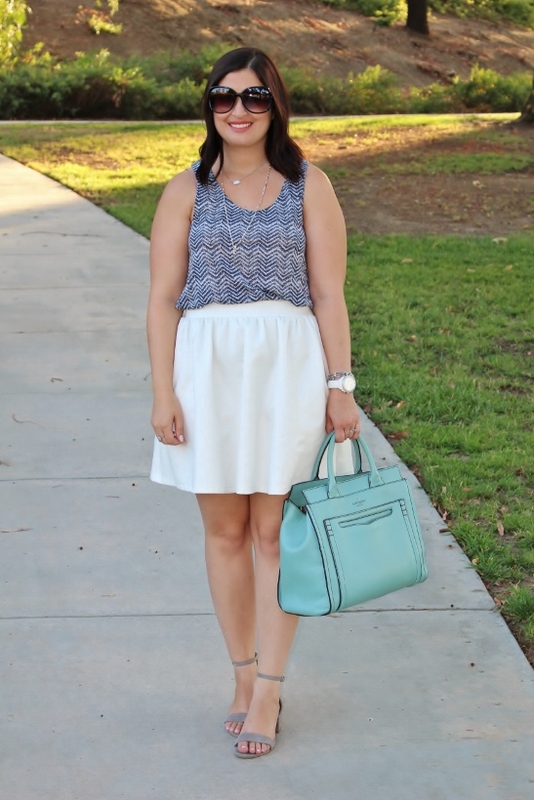 Your skirt is perfect for summer, and I love the print of that top! I'm with you - I love blue and white! I probably don't wear it as much as I could, though. Also- love those sandals! I've been eyeing them in a couple of colors so it's nice to see them on you and how they look on a person. Are they reasonably comfortable to walk in? Love your outfit and especially your shoes. You have such great taste. White is definitely my fave shade to wear in the summer. Followed by shades of light pink and blush. Unlike to I also wear a lot of red. More so in fall and winter though, in summer I use it mostly as an accent. LuxerWatches is selling authentic luxury brand name watches, with authentic watches offered with a MAJOR discount.